A laptop is one of the most important gadgets in today's world. You can perform many tasks with a single laptop. But every device has its own lifeline. 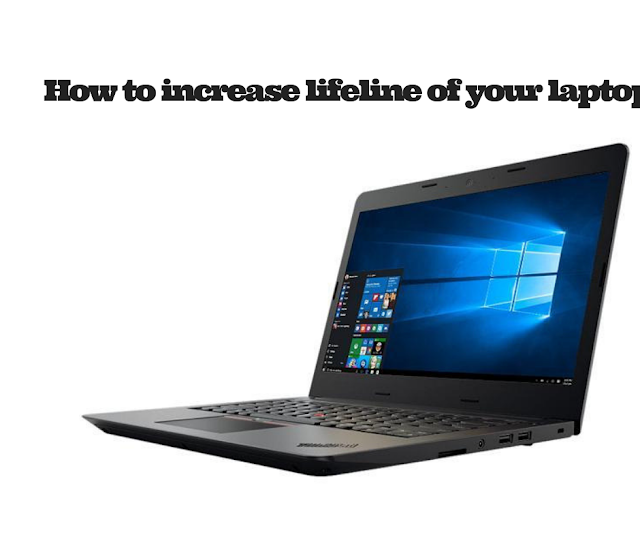 If you want to increase the lifeline of your laptop, then you should follow some maintenance techniques. Take good care of your laptop: Laptops are a very delicate gadget. You have to handle them with care. Use your laptop in safe places like away from water and extreme temperature. Avoid eating and drinking near your laptop. Never keep your laptop near pets and children. If you are traveling to someplace, always carry your laptop in a laptop bag. Clean your laptop regularly: Laptops are like dirt magnets. No matter where you place your laptop, the fans and keyboard always attract the dust. You should always clean your keyboard and screen with laptop cleaner. Clean your laptop's fan with an air blower. Hardware Upgrades: If you want to perform heavy tasks in your laptop then hardware upgrades is a necessity. You have to invest some money for hardware updates but it is really cheaper than buying a new laptop. You can easily update the hard drive, graphics card, and RAM of the laptop. Use your laptop properly: If you are working on your laptop then avoid placing it in bed or lap. This will block the ventilation. It will definitely affect your fan as well as other parts. If the RAM of your laptop is less then avoid using the heavy software. If you are using peripherals like flash drives, headphones or speakers then plug in them gently. Make sure to scan the flash drives before use. Inside cleaning of your laptop: If you are using your device for a long time, you should probably clean your laptop from inside. If you don't clean the fan regularly, it will not able to ventilate properly. Without ventilation, your device will get hot. Due to extensive heat, other parts of the laptop may damage. If you are not able to clean the fan manually, ask a good technician for this job. You can visit Laptop Repair in Gurgaon for best servicing of your laptop. Good protection: A good antivirus is an essential software for every laptop. The antivirus will not only protect your device from malware but also helpful for your hardware maintenance. A regular scan and junk removal will keep your RAM and hard disk healthy. If you are a gamer, then you surely need more RAM. Application software like online games impacts your system a lot. A good antivirus will help to maintain the performance of your device. Regular software updates: There is no such thing which we can refer as perfect Operating System. Every operating system has some loopholes. But if you update your software regularly, it will help your operating system for performing well. Outdated software applications are harmful to your laptop. So, always check for new updates. If you see any new update, then do it immediately. The tips mentioned above will give a better life to your laptop. If you have any good tip for increasing the lifeline of the laptop, don't forget to share with us in our comment section.